I was reflecting today about life and death. What’s the meaning of life, and more importantly, what’s the meaning of YOUR life? These reflections were prompted when last week when Paul Walker died in a car. I was prompted and urged to reflect even more when yesterday the World lost Nelson Mandela. This post is an invitation to you to reflect about the meaning of your life. If you leave the planet today, what statement would you have made with your life? I was recently exposed to someone who defines abundance as “the ability to do what you want to do, when you want to do it.” When I recently wrote about thanksgiving and gratitude, I highlighted the fact that gratitude is when you realize that all you have is all you need, at this very moment. 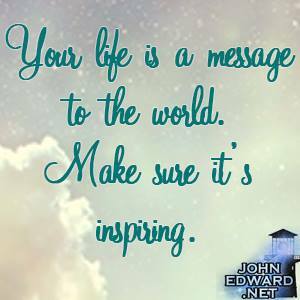 The people who are formulating a message for humanity through their lives are those who are making contributions. Contributions don’t have to be through financial means like Bill Gates through the Bill & Melinda Gates Foundation. Contributions can be in the form of humanitarian work like Mother Theresa, or ideological like Nelson Mandela or Martin Luther King. What contributions are you making today with your life? How will you be remembered when you are gone? Day 11 of 21: 100 words per day for 21 days. 218 words.